There is no doubt there is too much plastic out there as there is more plastic being used than is strictly necessary. In light of all the publicity about plastic pollution, sustainability is a subject too often overlooked . Sadly, the public is often misinformed in relation to impact. Using biodegradable sugar cane trays for packaging, impacts less on the environment once they are used, but considerably more in order to be produced. For example, 2000 hectares of rainforest in Bolivia cleared for sugar cane since 2011, threatening the wildlife that inhabits them, destroying valuable eco systems and violating the rights of the indigenous community. Jenton did a project in USA where it was clearly shown that the production of thin plastic bags had half the environmental impact, than that of the paper bags it was going to replace (for McDonalds). The public didn’t believe that (even though it was true) and plans were shelved. By helping companies get things right first time, Jenton’s focus is on sustainability in relation to extending shelf life and reducing waste with seal testers for thermoformed packs at Jenton Ariana. JenAct provides UV disinfection for the food industry. Applications include the treatment of HVAC coils and air ducts and surface applications such as conveyor belts as well as the direct treatment of food using UV surface disinfection and sterilisation technology for food packaging, produce, fruit and vegetables, extending shelf life and providing sustainability. The ‘plastics are evil’ bandwagon is potentially leading to secondary unfortunate consequences (lemurs etc.). Plastics have a big and useful place. 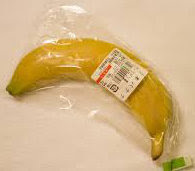 The public needs to be made aware that weekly food shopping and buying food in bulk makes the use of plastics essential. Changing grocery shopping habits is an important step that needs to be taken. If everyone is happy shopping every day and for trucks delivering to shops every day, then a lot of plastics can be dropped.